I love reading. But I definitely don't do it enough. I think I say that every time I do a blog post about books...LOL. I guess some bad habits are just hard to break. If there is one thing I absolutely love reading about, it's mental health. Whether that be fiction, self-help books or personal stories, I just can't get enough. I love to get lost in a really well-written book with an amazing story line and characters which you just fall in love with, the second they are mentioned. I love learning about different types of mental illnesses, which I haven't experienced. I enjoy finding out how other people have struggled and pulled themselves through the darkest times. I am not interested in success stories explicitly, just real stories. Books that show the reality of what it is like living with a mental illness. That it is not all sunshine and rainbows. I also like reading books that give me tips, advice and support, most commonly I find these in self-help books. Which I know sounds cringey, but trust me they are not all as bad as you think. There are so many books about mental health that I could have included in this list. Perhaps I will do a part two at some point. I wanted to let you guys know my favourites, just in case you are looking for a new book to read, wanting to improve your understanding of mental health or are looking for something to help you start that road to recovery or just understand what you are going through. There is something for everyone on this list, I hope you find something that takes your fancy! This was one of the first books I read about mental health, and by far it is one of my favourites. I read this book around Easter last year, while I was struggling with OCD. This book if nothing else, helped me understand what I was going through. I was completely normal apart from a few chemical imbalances occurring inside my brain. Holly writes about a girl called Evie. Evie struggles with OCD. We follow Evie as she battles OCD but also is struggling with the common aspects of teenage life; relationships, friendships, work, etc. You get a very clever and detailed insight into what it is like living with OCD through Evie's good thoughts, bad thoughts and recovery diary. What I love most about this book is how easy to read and funny it is. Holly does a fantastic job of not contributing to the stigma or stereotypical perceptions that surround OCD. Another book about OCD, but so completely different. This is a children's fiction book. However, it can definitely be read and enjoyed by anyone of any age. Matthew is the main character, a 12-year-old boy struggling with crippling OCD. Matthew watches his neighbours go about their daily business through his window every single day. One day, something out of the ordinary happens. A toddler staying next door goes missing. Yep, that's right! Not only have you got a very accurate portrayal of OCD you also have a mystery to solve, which I'll add had me hooked till the end. You get a clear insight into the reality of what it is like living with OCD. The distressing physical and emotional impacts OCD can have upon the sufferer, the family and even friends. Lisa does a fantastic job with this book, I don't think I have ever resonated with a fictional character so much in my life. I haven't had the chance to talk to you lovely lot about this book yet, as I have only recently finished it but oh my God, it's a good one! Bryony Gordon is a successful columnist for the Telegraph, who has had her fair share of ups and downs. 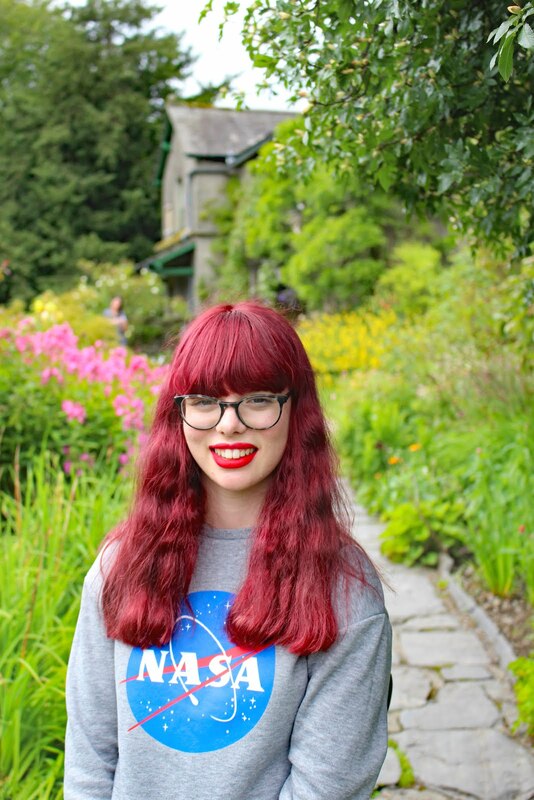 Bryony has struggled with OCD, depression, bulimia, drug addiction amongst other things. With all that going on, you would think this book would be pretty downbeat but must end happily because that's what sells, right? If that is the kind of book you are looking for, you are going to be disappointed. Chapter by chapter, Bryony explores her battle with mental health, in a brutally honest but also hilarious way. She doesn't forget the hard times or try and cover up the mistakes she has made. She's frank about them, which is why I love this book. If you are looking for a real book about mental health by someone with real experiences which isn't afraid to speak the truth, you need this book in your life. On to the first of two self-help books, mentioned in this post. This first one is written by comedy genius like no other, Ruby Wax. Self-help books carry a bad name. However, if you want a book to change that, then it has to be this one. Ruby Wax, explores what mindfulness is and how the brain works. She offers a guide for a six-week mindfulness course, mindfulness tips for parents with children, teenagers and her looks at the effects of mindfulness on her own brain after having intensive treatment of mindfulness for seven hours a day. What I love about this book is that there is something for everyone. You can also pick it up and read any chapter that you like. I skipped over the chapter about being a parent with kids because I don't fit into that category just yet, but yeah, who knows in the future that might come in handy! Last, but certainly by no means least, I have loved The Anxiety Solution self-help book by Chloe Brotheridge. Chloe is a former sufferer herself and now is a clinical hypnotherapist, so it is safe to say she knows what she is on about. This book provides you with techniques to help manage your anxiety, help you understand why you are feeling anxious with the aim of helping you gain control back of your life. What I love most about this book is how simple it is. There is little exercises to have a go at and summaries at the end of each chapter. Each chapter talks about a different subject whether that be eating, exercise, control or self-esteem. There is something in this book for everyone. Granted you may not take all the advice on board, but I 100% recommend picking it up because I'm sure there is something everyone can take away from reading this book. 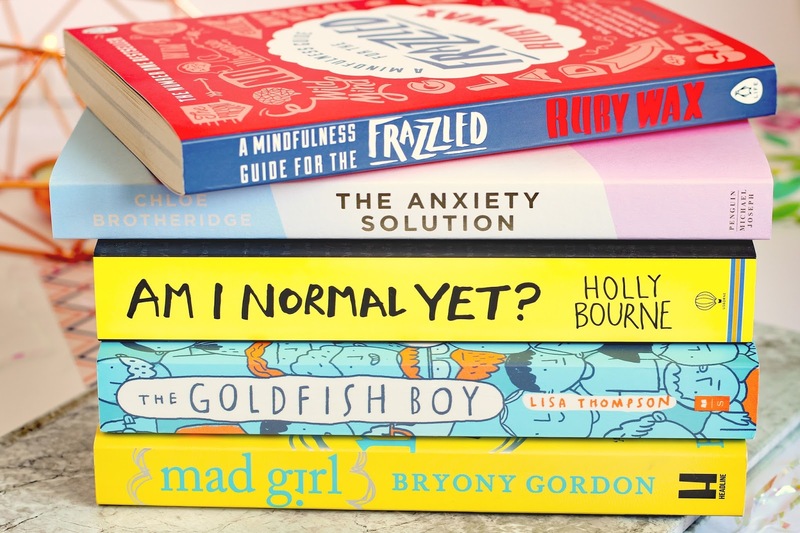 And there we have five mental health books that I absolutely love. As I said before, I could easily do another one of these, as there are so many others I wanted to include in this list. Let me know your thoughts on any of these books in the comments below, or if you have any other mental health book suggestions for me, I would love to hear them! I SO want to read Mad Girl! It looks incredible. Am I Normal Yet is one of my least favourite mental health books ever haha, but it just shows that what helps one person doesn't help everybody, especially with mental health! 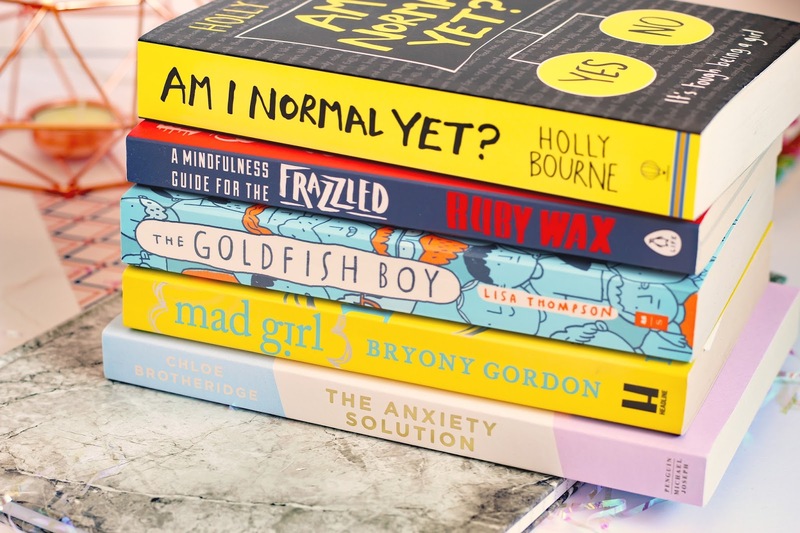 I definitely want to read more books concerning mental health - I love the sound of the anxiety solution! I'm super intrigued by Mad Girl! Definitely adding it to my ever growing amazon wishlist of books. Also just think The Anxiety Solution looks pretty, I'm such a sucker for good aesthetics. I like reading about mental health but I also think it can be hard because I can feel myself getting sucked into an identity that's centered around my MH instead of not letting it define me. I so need to look into getting these! !